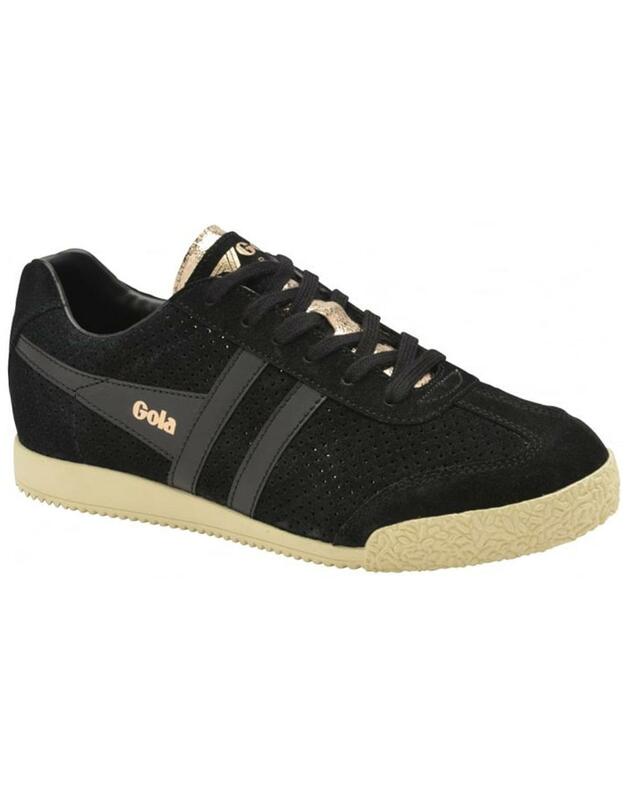 Gola Harrier Glimmer Retro 70s trainers with a contemporary rose gold reflective metallic underlay showing through the perf suede upper. 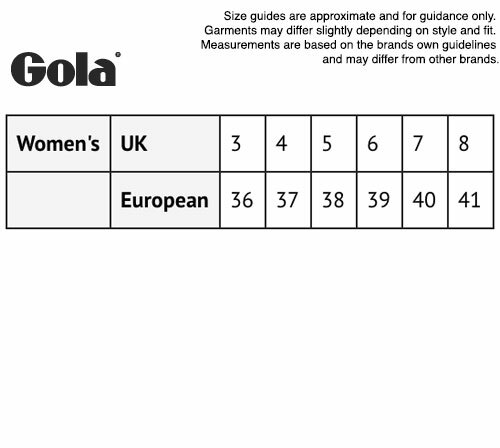 A cool Indie update on the classic Gola Harrier silhouette (first introduced in 1968!). The stylish rose gold metallic tongue, Gola signature details and Retro wingflash to the sides all enhance the Harrier Glimmer Trainers look. 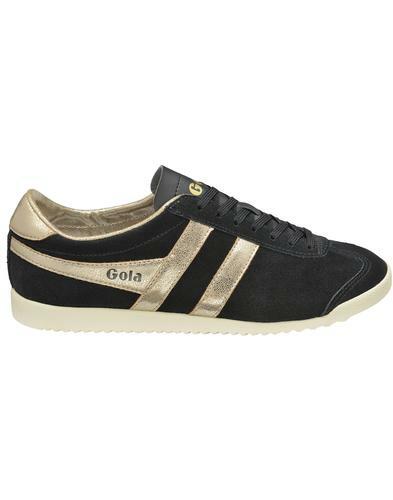 - Gola 'Harrier Glimmer' women's retro 70s perf suede trainers in black. - Rose gold reflective metallic underlay for a unique shimmering effect. 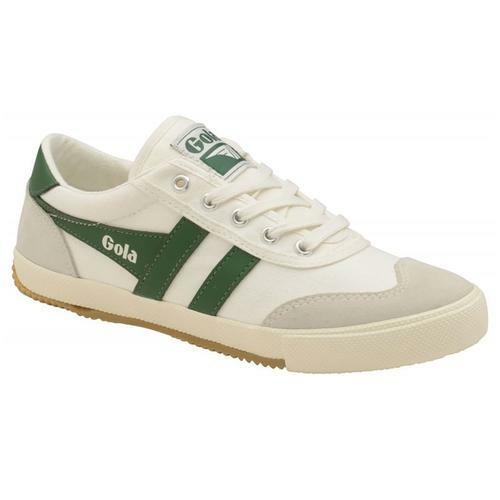 - Gola retro wingflash to sides. - Colour: Black/Rose Gold/ Off White. 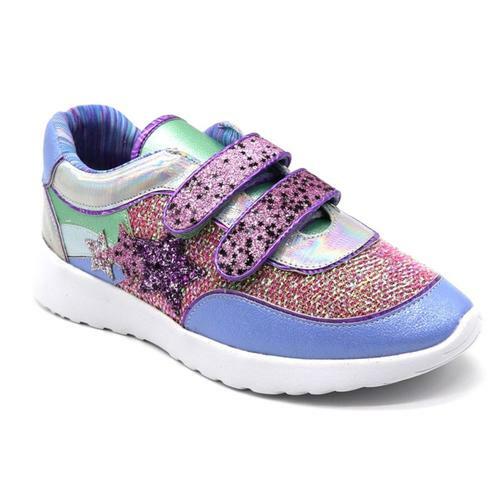 - SKU: CLA190BY Harrier Glimmer Suede Trainers. 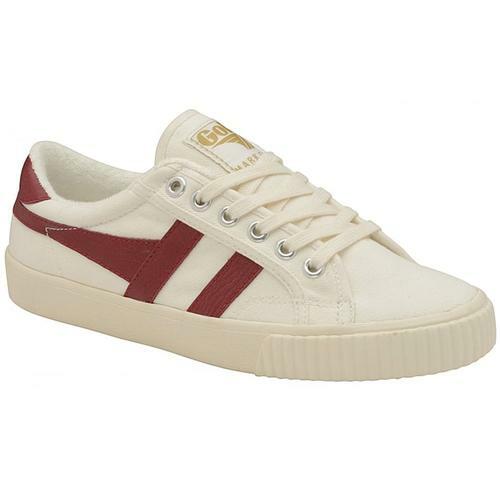 Composition: Upper: Suede. LIning: Textile. Outsole: Other.